This 44-40 Winchester Center Fire (WCF) ammunition is perfect for your Winchester Model 1873 rifle. Often attributed as being the "gun that won the West", this caliber was Winchester's first centerfire metallic cartridge. 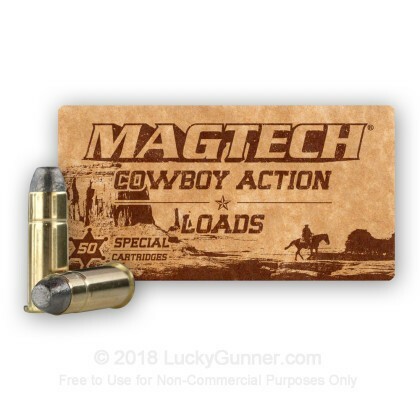 Newly manufactured by Magtech Ammunition under their Cowboy Action Loads line of ammo, this product is excellent for target practice, competition or just plinking around. 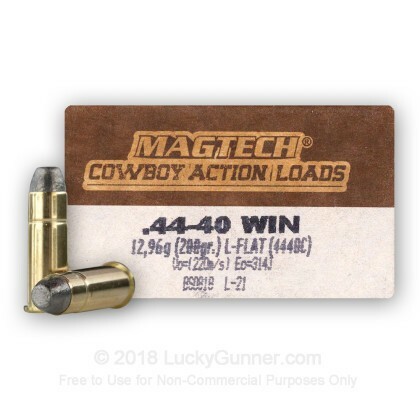 The Cowboy Action Loads are loaded to a lower pressure than Magtech's normal line of ammo and this lower pressure helps with target re-acquisition during competitions and helps reduce strain on your wrist and arms. Each reloadable round boasts a reloadable brass casing, lead flat nose bullet, a boxer primer, and non-corrosive propellant. The mag techs were great. Very accurate and hotter. Looking forward in another day at the range maybe extend out 50 yards or so. I purchased a fairly large amount of these, a few years back. I was pleased with performance of the round, but when it came time to reload them, I was very dissatisfied with the brass. 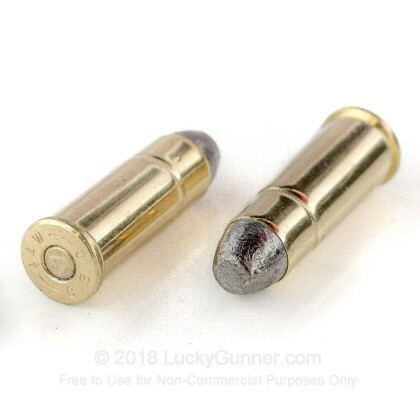 Mag-Tech 44-40 brass is too thick at the mouth for reloading. I wish that I had known this before my purchase. It turns out that the best brass for reloading 44-40, is Winchester, Starline, and Remington, period. Now, 44-40 is a delicate round to reload to begin with, but Mag-Tech brass is truly impossible. 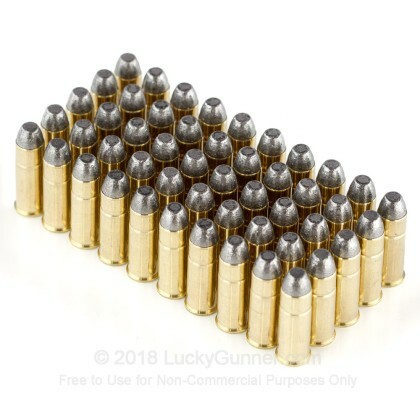 I suggest that if you want to reload this caliber, purchase the Winchester Cowboy loads, that are also available here at LG, at a very good price. Just a "Heads-Up" for those reloaders out there! my Henry 1860. Good stuff. Exactly what I needed for my Merwin Hulbert large frame 1873 revolver. Fired off clean and accurate and better than using black powder in this antique firearm. I am pleased with the recent purchase of 44-40 ammo. It provides consistent, reliable performance and was precisely what I was looking for. I chanced onto your site and I am glad to have found a source for good ammo. I have shared the site information with friends and with the ever increasing difficulty in procuring good ammo, your site and your business keeps me i the loop relative to the availability of good ammo. 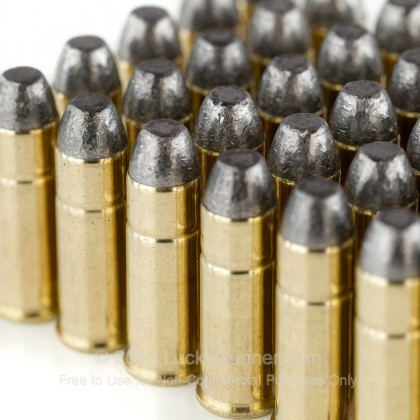 The 44-40 ammo filled a need I had for consistent, reliable ammunition for a favorite weapon I enjoy shooting, at a time when this ammo is somewhat difficult to find and not really in the mainstream of what people are using presently--sort of like an ammo of another era. Thanks for addressing my need and doing so with some great ammo. 44.40 ammo is very hard to come in my neck of the woods. When you find some they want an arm and a leg for a box. Lucky Gunner saved the day by having ample boxes of 44.40 and at a price which didn't break the bank. Ammo fired superbly. These rounds fit the bill for target or competition shooting. @ 720fps, the recoil is way low, allowing for more accurate shooting. 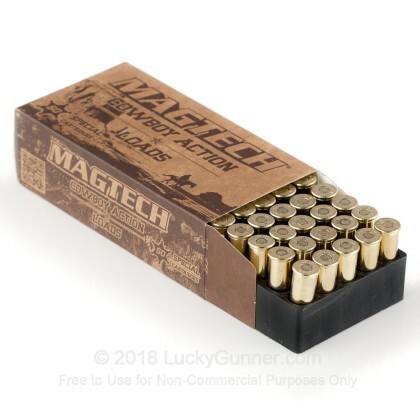 With the current ammo shortage, I was very pleased to find that Lucky Gunner had them in stock, at a decent price. Their customer service was excellent, and shipping was standard. I will be buying more from these guys, that's for sure! Q: Are these loaded with black powder? A: These are loaded with smokeless powder to black powder equivalent pressures.